The main control room is built around an API Legacy AXS console. This board, installed by API in September 2018, is a 48 channel frame short-loaded with 32 in-line channel strips. 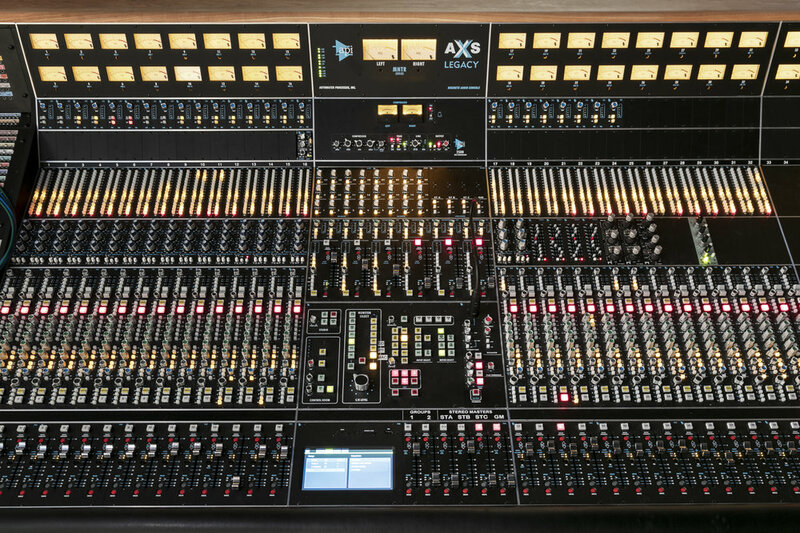 It's an incredible sounding desk and a pleasure to work on, and we're thrilled to be one of the few studios in the northeast running a Legacy AXS. 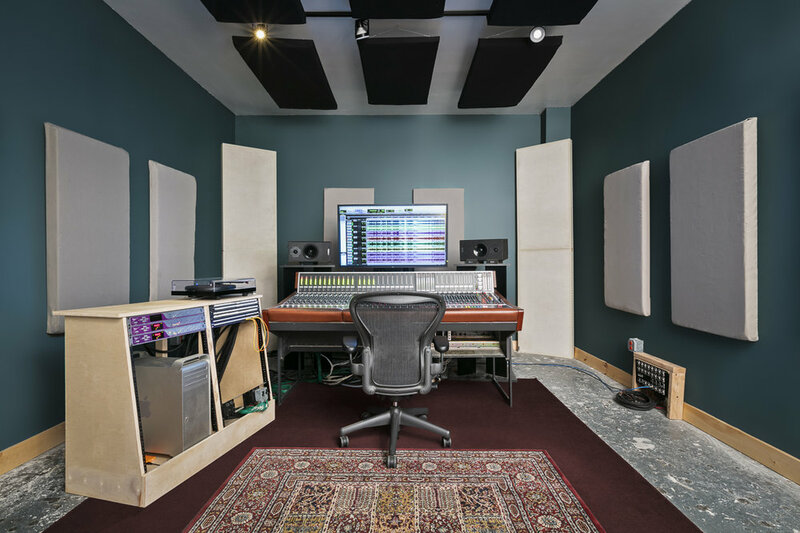 Our B-Room features a Studer 900-Series mixing console that was originally installed at the Metropolitan Opera House as its main broadcast board. - Channels 1-24 have been modified with mic-pre direct outputs that operate independently of the channel strip. These outputs are balanced with massive Lundahl transformers that were removed from one of the original Focusrite consoles. - comprehensive talkback, monitoring, and studio output features with 5 TB channels, slate, three stereo monitor outputs, PFL / AFL buss out, mono select and stereo adjustment.